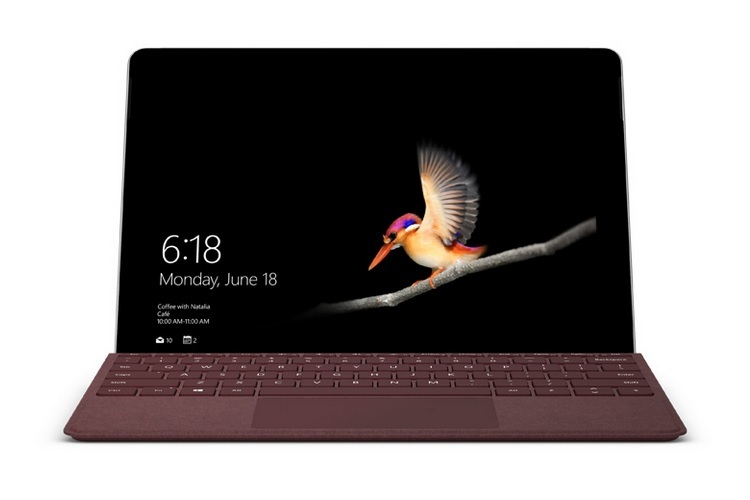 Earlier this month, Microsoft launched the Surface Go, which is a smaller and less powerful version of the Surface Pro and takes on Apple’s iPad Pro. While the device’s internal hardware is certainly impressive for a portable device of its size, there were doubts that its battery won’t be able to sustain for a full day of usage, despite Microsoft’s claim that the Surface Go’s battery would last around 9 hours. And the skepticism around the Surface Go’s battery power has now been realized in a recent teardown by iFixit, which has revealed that the Surface Go packs a rather small two-cell 26.1Wh battery pack. The 26.1Wh unit inside the Surface Go is not only significantly smaller than the 45Wh battery fitted inside the Surface Pro, but is also less capacious than the one which powers its arch-rival, the iPad Pro. The Apple device has a 32.9Wh battery, and thanks to the iOS ecosystem, which is much less burdening in terms of computing prowess than Windows 10, the Surface Go will certainly lag behind the iPad Pro on the battery performance parameter. But battery back up aside, there are a few minor silver linings when it comes to the repairability aspect of the device, as well the thermal management mechanism employed in the Surface Go. As per the teardown report, the Surface Go’s battery pack does not require one to fully remove the motherboard, which means the battery pack can be removed with relative ease, provided one has the patience to go through the abundant use of adhesives and plastic cards. However, the small form factor required Microsoft to cram as many components as possible in the available space, which means replacing damaged components would be a huge problem. Overall, the Surface Go earned a dismal repairability score of 1 point on a scale of 1 to 10, which means if you own a Surface Go, you better handle it with great care.